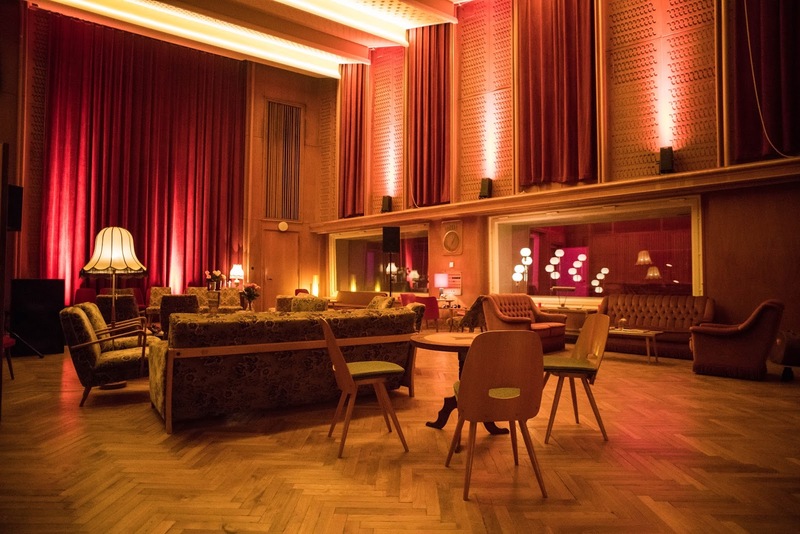 Berlin wouldn’t be the melting pot brimming with inspiration that we love if it wasn’t for the international influences from expats that never cease to shape the city with their artistic vision. The time has come to highlight the creative masterminds in the Portuguese community in Berlin. Get ready to meet a diverse crew of uninhibited artists – photographers, writers, digital illustrators, musicians – who aren’t afraid to experiment and venture beyond the conventions. 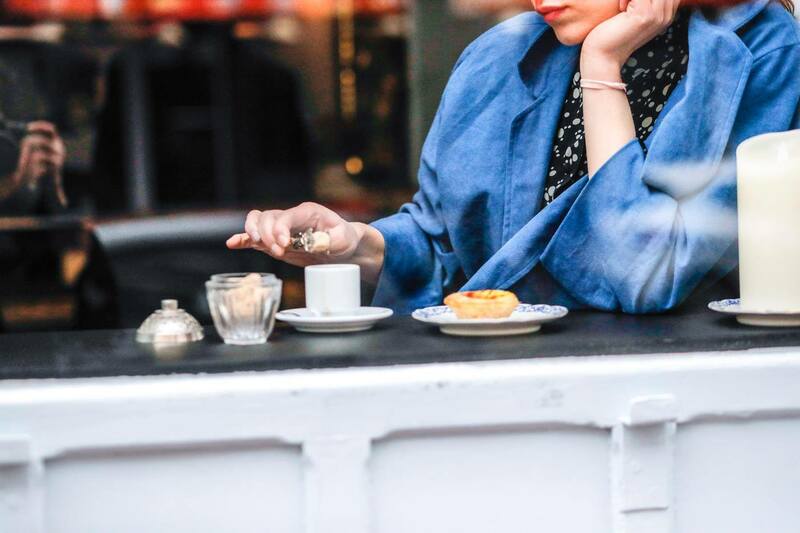 By the way, we’ve asked around and got the top recommendations on where to get Portuguese wine and their famous Pastel de Nata – make sure you scroll to the bottom! In all of the years that I have been living in Berlin the city never ceases to surprise me with new incredible places, no matter if they are incredible buildings, stunning interiors, unusual locations or innovative concepts. When people who are planning to come to Berlin or are already here but want to experience something new, they often ask me about places like that and where they can find them. My first reaction is always that I am missing the right answers because all the places are so familiar to me, after 18 years, what can truly still surprise me. But then I think back to the moments when I first discovered those incredible places, sometimes even before I had seen pictures of them, and how they made me feel. With this memory in mind I curated the following list of amazing places that will take you by surprise when you first visit them. Our readers who are more familiar with the city might know a lot of them already, but maybe we manage to have at least a couple that you don’t know yet. We’re always keeping you up to date on the coolest contemporary art exhibitions in town – highlighting every art week and pointing you right to the hottest galleries whenever we suggest a route for a particular hood. The Berlin crowd is famous for channeling their creativity in the most unusual ways so no wonder you always enjoy these tips! That’s why we thought we might just go ahead and present you a guide of the 10 most important contemporary art places in the city. After a year of suspension and anticipation it’s finally the time: Germany’s first street art and urban art museum Urban Nation is celebrating its big opening this coming Saturday (September 16th 2017, at 19h) and we had the chance to take a sneak peek and snap some pictures in advance! Urban Nation has a really compelling history here in Berlin. 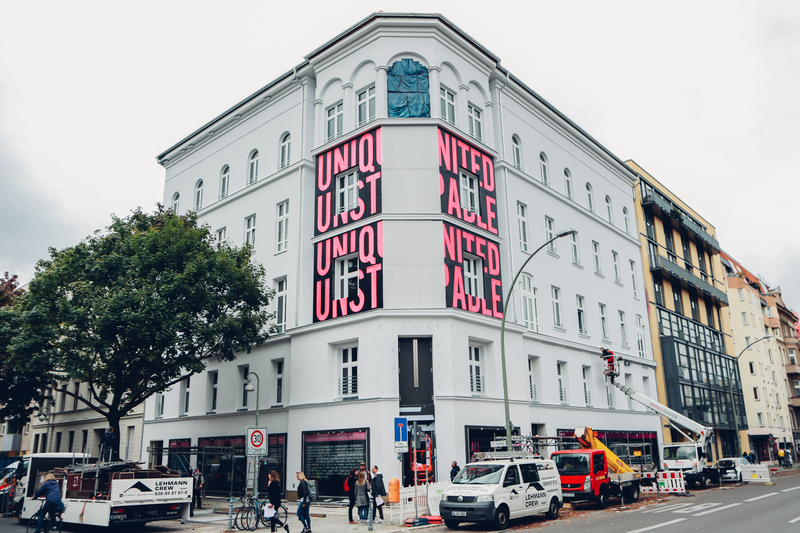 Founder Yasha Young started the project in 2013 by organizing exhibitions on the many empty facades of Berlin’s building. We owe many of Berlin’s cool street art murals to her. Before that she used to run an urban art gallery in Berlin and New York, but the few walls of a gallery space were simply not big enough for what she envisioned. With Urban Nation of course there was a masterplan behind it. Funded by the Berliner Leben foundation and designed by prestigious architecture bureau Graft she created the first museum for street art and urban art in Germany – right in the heart of Schöneberg. Thanks to the ever changing murals in the neighborhood the whole area around Bülowstraße has now been transformed into a hot spot for urban art. Whole building facades are covered with artworks there which is quite the contrast to the many grey residential buildings in Berlin. Urban Nation aims to become not only an exhibition space for artists who used to present their work on the streets, but also an archive for urban art like it never existed before anywhere. It’s an exciting edition to the art and museum scene of Berlin and we are excited to see what the future holds for this place. Berlin in recent years has become known for the space and freedom it gives emerging artists to create and find their artistic voice. Meanwhile, more and more art galleries make their way into the art market to represent and exhibit their work; one of our favorite ones we always love to visit is König Gallery in Kreuzberg. König Gallery was founded by Johann König in 2002. His innovative spirit showed from the very beginning, when, at the age of 21 he invited his artist friend Jeppe Hein to install a wrecking ball in the gallery, destroying chunks of its wall as it moved about the space, and among the viewers. His innovative spirit, years later, and the urge to move away from the ‘white cube’, had him acquire an old unused church and turn it into an art space. St. Agnes is a Postwar massive concrete building of Brutalist style, designed by Werner Düttmann and built in the 1960s. A former catholic church, which however was out of service since 2004, found new life in 2015 when König re-opened it as the second location for his gallery, (now serving as the main space) while he also resides with his wife Lena in the church’s former rectory. 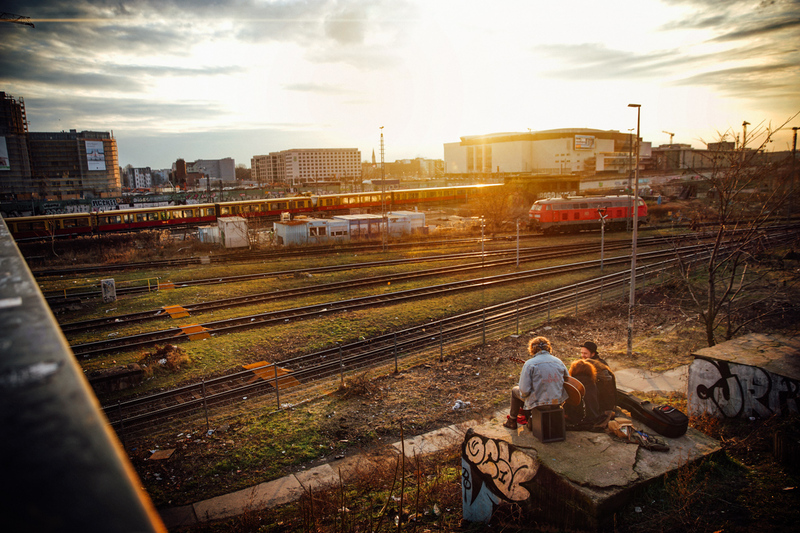 Berliner creatives, rejoice! Once a year, our incredible city becomes home to one of the coolest designer and artist gatherings, Pictoplasma Berlin, which showcases the latest trends in character design, bringing together artists, video game and animation designers, virtual and augmented reality creators, but also illustrators, graphic designers, even kids’ books and ceramic designers, inviting them to explore how far they can push their genre boundaries, and our grasp of what’s real. 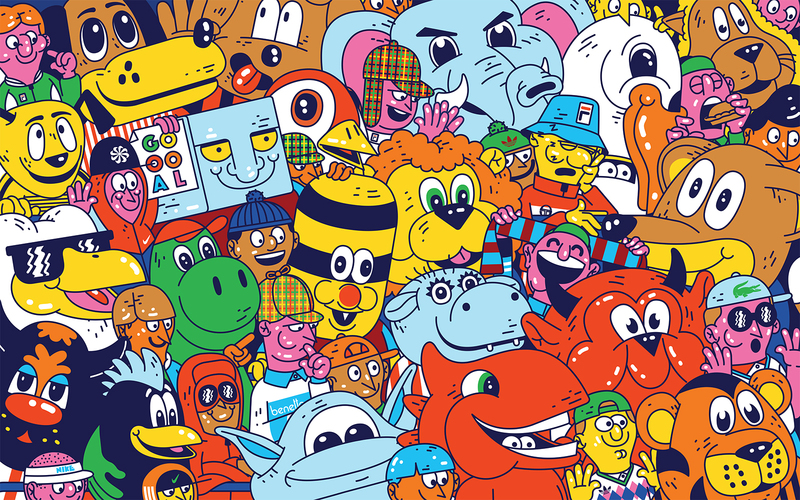 As its central event, Pictoplasma holds a conference where creators and producers have the chance to exchange ideas on new strategies on characters and trends. And while they do their thing, the wider festival invites us to enjoy multiple screenings of selected short films, bringing us the latest anime eye candy, combined with the opportunity to learn a thing or two, as the makers hold Q&As right after the screenings. 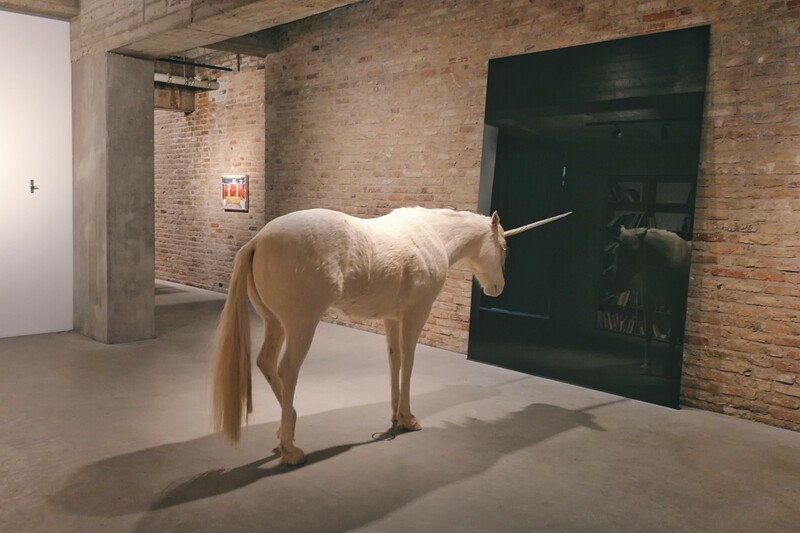 Along with that, exhibitions run in galleries all around Berlin: there, one gets the unique chance to be part of quite rare exhibition tours by artists themselves, where they present originals and new productions. Cool huh? Parties and further art happenings is also part of the deal- enabling some fun interaction with the festival’s audience and production members. Weißensee – ever heard of it? If you haven’t, don’t blame yourself. 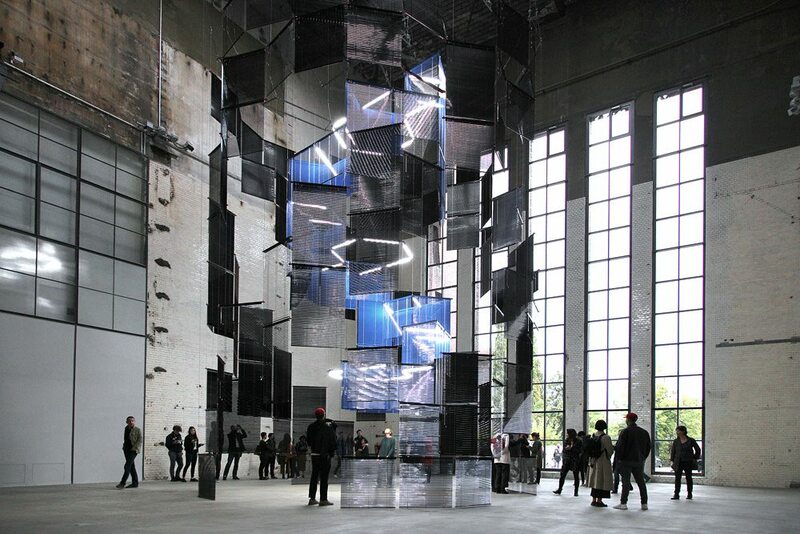 There are some districts in Berlin that kind of fall under the radar concerning public attention. Lichtenberg is one of them, or Reinickendorf, Marzahn. And so is Weißensee, it seems to be also one of the hidden gems. Even though there is quite a lot going on, the clocks are ticking a little slower here. This might not be the version of the Berlin you know. But maybe you should. Weißensee is a part of Pankow and used to be like many other districts a little village, back in the 13th century. Named after the big lake, the then-village Weißensee has more to offer than meets the eye. With the help of the new aber hallo, Weißensee map we selected some of the most interesting places that will make your visit worth while. The Street Art Museum, photo: Urban Nation. Yasha Young is visibly thrilled. The director of Urban Nation, a network for street art and Urban Contemporary Art is celebrating the upcoming opening the world’s first Street Art Museum on September 16, 2017. “Urban Art is a contemporary witness, who shows himself to everyone”, Young says with her voice shaking lightly. And with this year, this witness is about to be seen by even more people, right in the midst of Schöneberg. Spring has sprung! And you know what this means: Outdoor locations are becoming a thing again! No more standing under heating lamps, clutching to your scarves. The last fluffs of your scarfs are scaling off your necks and many heads turn to other people again. With every raising degree, the core areas of the capital shift from inside to outside. Berlin awakens in Spring. And along with it the people, the cafés, restaurants, urban parks and festivals are returning from their winter hideout. How we’ve missed the many opportunities to enjoy life under the clear sky. With Spring, all these possibilities are back! Especially when we are overwhelmed with work, when something significant changes in our life, or when we simply leave our usual surroundings to a new place, this is when we notice our most valuable asset: time. In Friedrichshain you have time to get lost, as well as time to find something you didn’t know you were looking for. It is a place for nostalgia, for living in the moment, but also for seeking the future. It is an unfinished place, where one of time’s most significant effects becomes very obvious: change. You definitely notice that unfinished character just by walking down Warschauer Straße, seeing all the construction works, graffiti and improvised shops and galleries. It’s always in progress, always changing. But this is what makes it special, what makes all of Berlin special. The new label Lilienthal Berlin wants to capture exactly this spirit with their brand new watch, representing the individualistic and unique character of the city that is always in between a state of tranquility and movement. The iconic design symbolizes both the diverse history, but also its colorful present and future with subliminal details and aesthetic quotes of the city. With the exchangeable leather wristbands and color options of the body and face, it is adaptable to its wearer as the city itself. To celebrate the launch of today’s exclusive pre-sale of their first model – the Lilienthal Berlin L1, which comes in a limited edition of 1440, all designed in Berlin and manufactured in Germany – the label sent us on a 24h tour to explore our favorite places in Berlin. We took the watch with us on our way through Friedrichshain, always with the time on our side. Enjoy our highlights after the jump!